With so many clients wanting longer, thicker hair, but not being able to naturally attain the desired results, it is no wonder that hair extensions have become such a wondrous choice. The expert hair stylists at HQ Salon give the best application, maintenance and removal of a multitude of hair extension types and have the knowledge to ensure that stylists get the right type of extensions for your hair type and your hair goals. What Is the Difference between Tape-in Extension and Fusion extension? Tape in hair extensions are the newest method of extensions available. Polyurethane coated wefts/panels with double sided tape attached ranging between 1″ – 4″ long which is applied on either side of the wearer’s hair “sandwiching” the user’s hair between two panels. Cold Fusion: These strand extensions are applied to the hair by carefully clamping a small ring or beading around the natural hair and extension to hold them together. Hot Fusion: These strand extensions are applied to the hair by using a heated tool to melt the keratin tip bonds to your natural hair. Hair extensions typically last 3 to 6 months (as long as they are properly cared for). Be gentle with your hair extensions, no pulling. Purchase a good quality detangling brush and take care when brushing your hair extensions. Minimize your use of hot tools (flat irons and curling rods/wands). Keep hair out of salt water, heavy chlorine and hot tubs. Discuss any planned future chemical services with your stylist before completing them to ensure that they will not affect or damage your hair extensions. 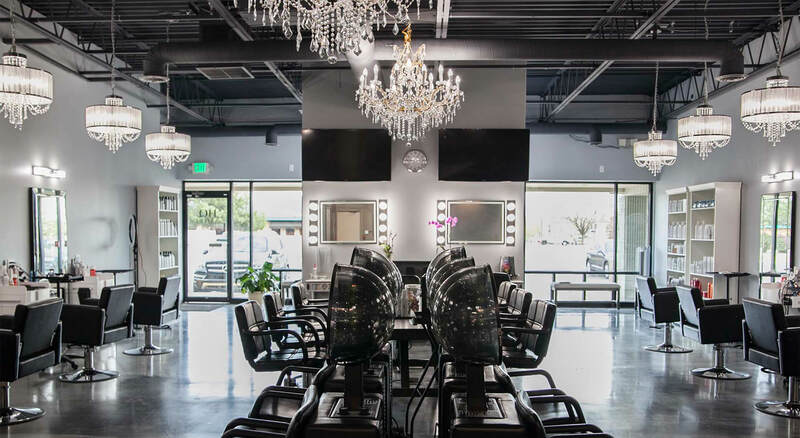 HQ Salon is a chic, full-service salon offering exceptional hair extension services, as well as the highest quality products and gorgeous results. Our expert hair technicians cater to all types of hair and are extremely skilled at creating gorgeous looks. Up to date with the latest innovations in hair extension technologies and techniques, we are ready to offer you the best hair extension services in and around Lakewood.